The Warner Parks are my personal favorite for all round family activities in the Nashville area. Made up of Percy Warner Park on the North side of Old Hickory Blvd and Edwin Warner Park on the South side. Collectively they have 2684 acres and are the home of over 400 species of wildflowers and 110 species of trees. Founded in 1927 with the original donation of 868 acres by Colonel Luke Lea, the son-in-law of Percy Warner a long time Chairman of the Nashville Park Board. His brother Edwin Warner became Chairman after his death and was the driving force toacquire more land and develop the parks. Together they make up the largest city park in the state of Tennessee. Parts of the paved surfaces are open to vehicles and others are not. The speed limit is 20 MPH so walkers and runners need not fear encountering a racing car. There are Many different loops with different degrees of difficulty though all are hilly. The most popular are the 2.1 mile loop in Edwin Warner, the 1.8 and the 5.8 in Percy Warner. And for the diehards there is also an 11.2 in Percy Warner that you follow by following the signs for the Main Drive. This is the one park that it is possible to get lost on these paved trails. There are signs throughout, but it is worth your while to make sure you know when to turn and in which directions. This is especially true if you are not used to long distances of traveling up and down hills. Though this series is on Walking, Running and Biking, the parks offer much more than just that. There are horseback riding trails throughout the hills in Percy Warner, two golf courses, the Steeple Chase, Picnic pavilions throughout both and the Nature Center located near the corner of Old Hickory Blvd and Hwy 100 in Edwin Warner Park. Don't forget the Harpeth Hills Flying Monkey Marathon! So go ahead, put your running shoes on, or just pack a lunch and load up the kids for a great day out in the park! 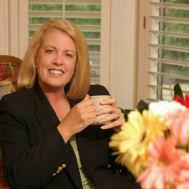 Connie Harvey helps Buyers and Sellers with their Nashville TN Real Estate needs. Contact Connie at 615-661-7800 x 1300 or via email HarveyC@realtracs.com . Chargers for Electric Cars coming to Nashville!